FREE 24 Hour Service...Order Today Ships Tomorrow! 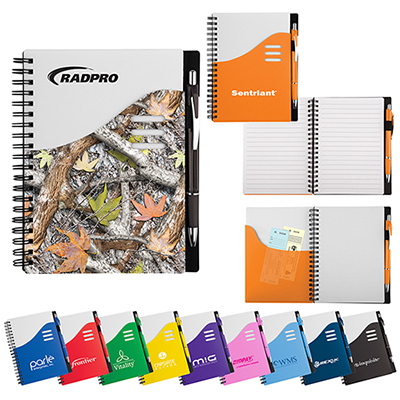 Fold-over tab cover protects paper from unnecessary dirt and smudges. 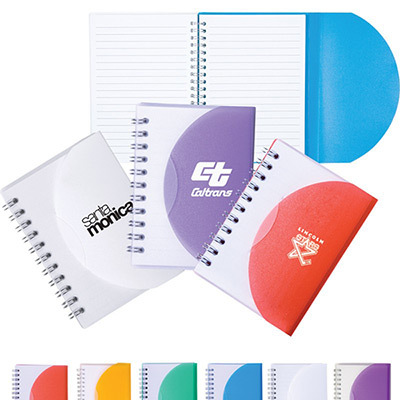 The customized Small Spiral Notebook enables your customers to jot down important points at meetings. It has a translucent polypropylene fold-over cover with a tab-style closure. This spiral-bound notebook contains approx. 60 lined sheets of paper (3'' x 4 1/4''). Get your logo imprinted on the cover of this book and distribute it at trade shows. Order from Promo Direct for exciting discounts on bulk orders! 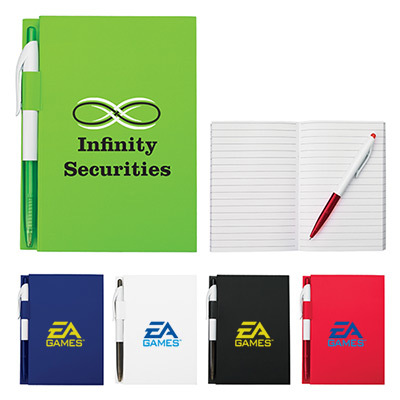 "Highly functional giveaways for taking down notes. We use them for our college promotional activities and the results are ever so impressive." 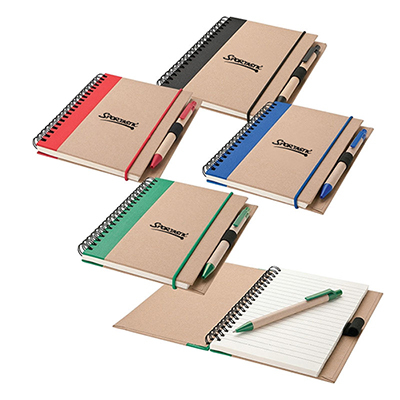 A notebook with a durable and flexible cover!